OEM Manufacturer of a wide range of products which include plc control panel, plc automation control panel, ac drive panel, genset control unit, logic controllers panel and plc system. 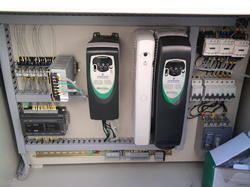 We are leading Manufacturer of PLC Automation Control Panel and our product is made up of good quality. Our organization is engaged in offering a huge range of PLC Panels using high-end technologies and high-grade raw material, which is procured from certified vendors. 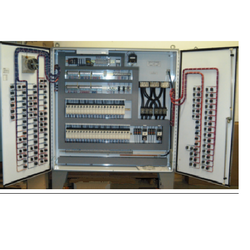 We offer PLC panels, PLC control panels, industrial PLC panels, and programmable controller. Our organization is engaged in offering a huge range of PLC Panels using high-end technologies and high-grade raw material, which is procured from certified vendors. 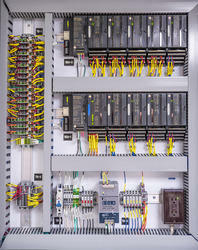 We offer PLC panels, PLC control panels, industrial PLC panels, and the programmable controller. These panels are well known for their durability, efficiency and easy operations. 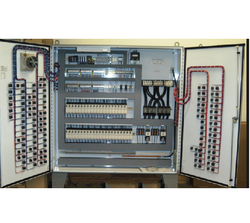 Our organization is engaged in offering a huge range of PLC Panels using high-end technologies and high-grade raw material, which is procured from certified vendors. 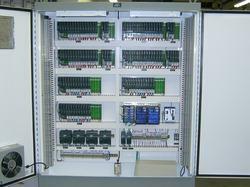 We offer PLC panels, PLC control panels, industrial PLC panels, and a programmable controller.